Just this week, his usual audience EXPLODED. Why… because he uploaded a little video (seen over 50,000 times by now) of the French Google Earth killer, developped by the French IGN… And he was also mentionned as one of the top 15 influential bloggers in France by Le Monde newspaper. Funky. Another proud vpod.tv alpha user; I have to say that indeed the BillautShow is fun to watch. Google Earth available on the Mac ! One of the only reasons around not to buy a Mac was that you could not run Google Earth on OS X. Alleluia! Your wishes (and mine) have been heard. Somewehere in this very long thread of discussion about Mac vs. the world, you’ll find a link to a fully functional version of it. Not all menus (such as Help) are active, but it works! You know what? I feel like saying, Hurray Google! b) it was released intentionally to the underground. With all the craze about Keyhole / Google Earth / Google Maps or MSN’s Virtual Earth, it is very easy to forget that cartography isn’t really something new. Navigators, explorers, travellers have been using for over a millenium. 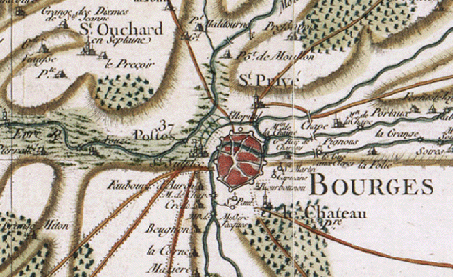 If you want to see ancient maps of France, called the ‘Cassini’ maps, started in the midst of the 18th c., have a look here. Someday, someone should create APIs to them, and help genealogists find ancient villages that have changed names. Note: see Cassini on Wikipedia. “ Using satellite images from Google Maps and Google Earth, an Italian computer programmer has stumbled upon the remains of an ancient villa. Luca Mori was studying maps of the region around his town of Sorbolo, near Parma, when he noticed a prominent, oval, shaded form more than 500 metres long. It was the meander of an ancient river, visible because former watercourses absorb different amounts of moisture from the air than their surroundings do. Mori, who describes the finding on his blog, Quellí Della Bassa, contacted archaeologists, including experts at the National Archaeological Museum of Parma. They confirmed the find. 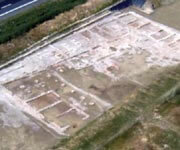 At first it was thought to be a Bronze Age village, but an inspection of the site turned up ceramic pieces that indicated it was a Roman villa. "Mori's research is interesting in its approach," says Manuela Catarsi Dall'Aglio, an archaeologist at the National Archaeological Museum of Parma. He says the find may be similar to a villa the museum is currently excavating at Cannetolo di Fontanellato, which was found during the construction of a high-speed rail network. "Only a scientific, archeological dig will tell," he adds. Today, we are announcing some exciting news. We are releasing a public beta of Google Earth (free), Google Earth Plus, and Google Earth Pro. As a Keyhole LT/NV subscriber, you receive access to Google Earth Plus, the upgraded version of the software. We hope you'll enjoy Google Earth Plus. We are also happy to announce that we are automatically extending your subscription, set to expire on 6/3/07, for one additional year free of charge.